If you live in a location other than USA you will find out that some of the online stores don’t deliver to your country, or at the very least, you will have to pay some extra charge for VAT or import taxes at the customs (for purchases over the certain amount). Hence it is more money and time saving to look for quality and chic plus size clothing at a specialized store near your location in order to avoid extra payments. Canada Provided you are resided in Canada, there is still plenty of offers for you on Amazon.ca. 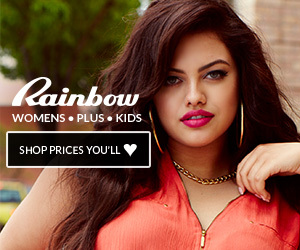 AdditionElle is Canada’s largest store for chic plus size must-haves & fabulous key pieces. If you live in England you can securely visit Amazon.co.uk or you local Amazon for plus size clothing deals. If you are located in South Africa, Mr. Price is a good place to buy clothes on budget. They struggle to deliver the latest trends in fashion at reasonable price and offer extended sizes for women. So if you look for women’s plus size clothing, check out what Mr.P fashion store can offer their customers. If you have a suggestion, leave a message on this page. Our editor will be more than happy to check and add your favorite online store outside USA specializing in plus size fashion.